Can you get a Fishing Rod in Pokémon: Let's Go? Find out whether or not you can pick up a Fishing Rod in Pokémon: Let's Go. In Pokémon: Let’s Go, players have been asking whether or not you can get a Fishing Rod. While the spawning mechanic is different in Pokémon: Let’s Go, you’re still able to find many nods to the original games as you progress through the story. Does this include the ability to get a Fishing Rod? Well… not quite. Instead of a Fishing Rod, you can use Sea Skim to encounter wild Water-type Pokémon in Pokémon: Let's Go. As of right now, you can’t get a Fishing Rod in Pokémon: Let’s Go. Rather than using a Fishing Rod to add Water-type Pokémon to your PokéDex, you’ll instead need to unlock a Secret Technique called Sea Skim. Secret Techniques work similar to HMs like Surf in the original games. Using Sea Skim, you can cross watery terrain and encounter wild Pokémon similar to how you encounter them on land. To learn Sea Skim, head to Fuchsia City and make your way over to the GO Park Complex. There, you’ll spot a man hanging out near a Lapras. 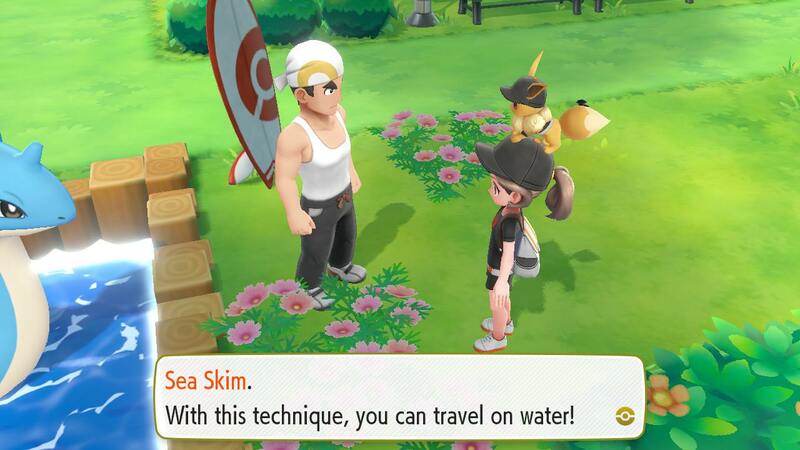 Talk to him, and he’ll teach your Eevee or Pikachu the Sea Skim Secret Technique in Pokémon: Let’s Go. After that, you can use Sea Skim to cross over water and encounter wild Water-type Pokémon in Pokémon: Let’s Go. 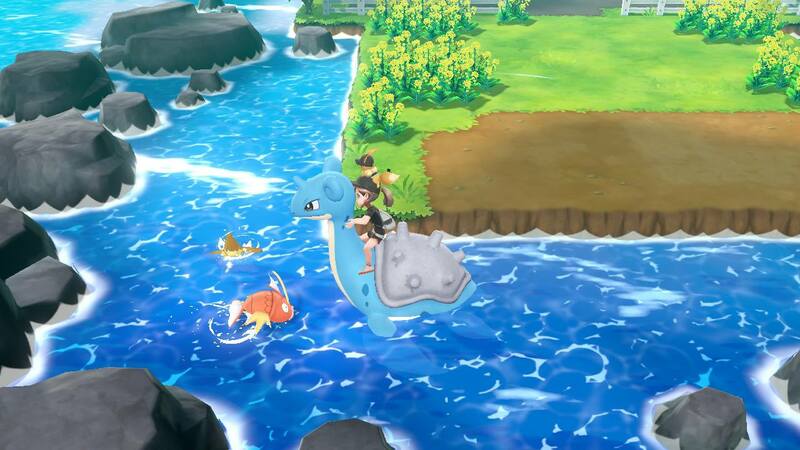 Additionally, you’ll be able to use rideable Pokémon like Lapras on the water in Pokémon: Let’s Go. After you learn Sea Skim, you can also use rideable Pokémon like Lapras to travel over water in Pokémon: Let's Go. While we’re sad the Fishing Rod and fishing mechanic aren’t available in Pokémon: Let’s Go, we love using Sea Skim and rideable Pokémon like Lapras to encounter Water-type Pokémon. What do you think of the removal of the Fishing Rod in Pokémon: Let’s Go? Are you sad you can’t get a Fishing Rod, or are you happy with using Sea Skim to discover Water-type Pokémon? Let us know down in the comments below! For more on Pokémon: Let’s Go, be sure to check out some of our previous guides including how to get a Moon Stone in Pokémon: Let’s Go, where to get all Outfit Sets in Pokémon: Let’s Go, and all Berry types in Pokémon: Let’s Go. By reading through this guide, you should now know if you can get a Fishing Rod in Pokémon: Let’s Go.